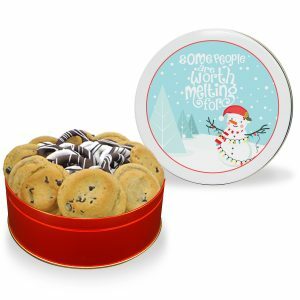 A tasty tower offering something for cookie lovers and nut lovers alike! 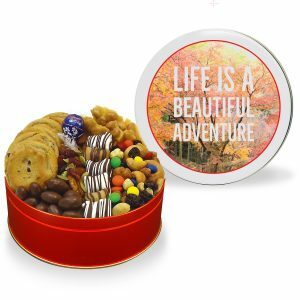 Gift baskets with cookies and nuts are always a crowd pleaser. 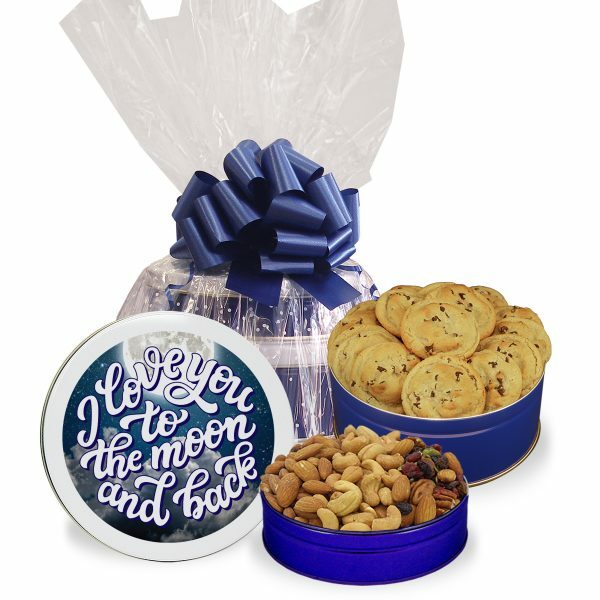 But, if you really want to wow your crowd then our Valentine Gourmet Duet Tower is the way to go! 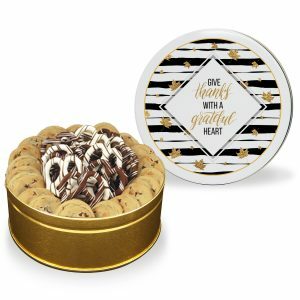 This tasty tower offers something for cookie lovers and nut lovers alike, with a regular tin of fresh-baked chocolate chip cookies and a Mini Hearty Nut Trio. 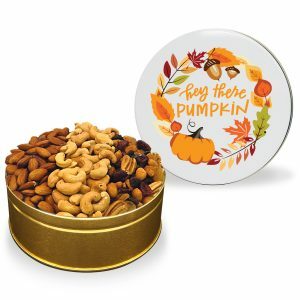 Personalize a tin lid with your own picture, message, design, or logo to make a big impression!